The perfect travel and outdoor soap. 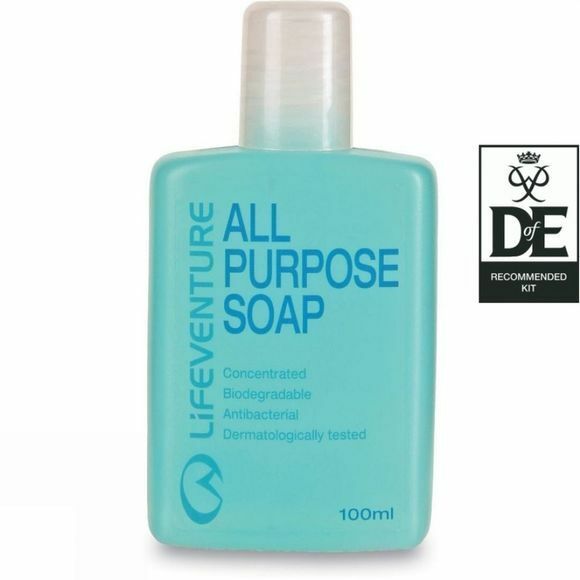 Concentrated so you don't need so much for each wash, lathers in both fresh and brackish water and it's biodegradable, so not harmful to the environment. Also useful for washing fruit and vegetables to make sure they're free from bacteria.